Since starting this new travel blog, I’ve really enjoyed checking out blogs from other travel writers to see how they present their stories. 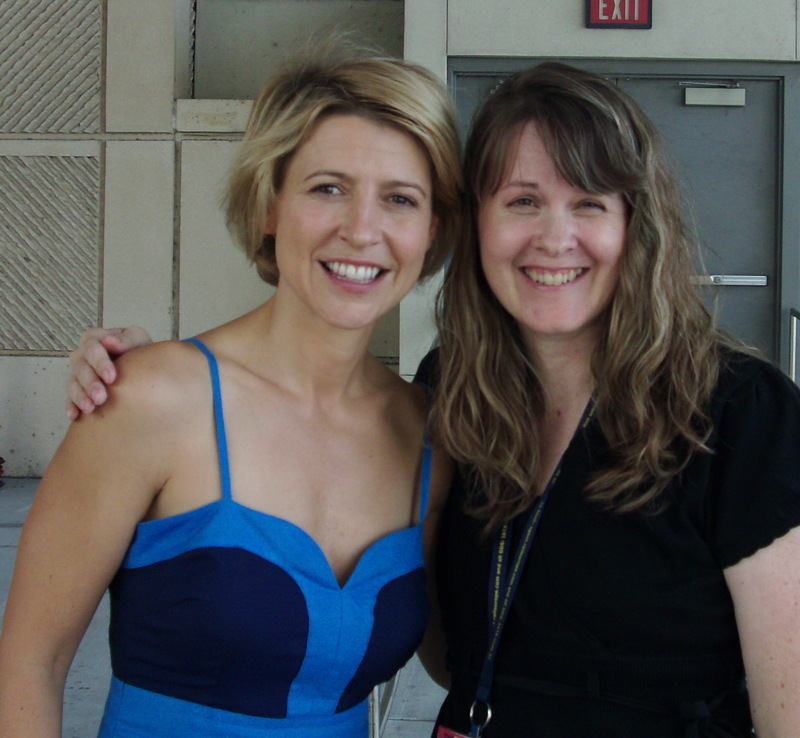 That’s how I recently stumbled upon the really fun and informative travel blog of former Travel Channel maven Samantha Brown. At her site, she has posted several clips and writes about destinations (of course!) and tips on packing, better ways to get through security lines, and how to stay fit while on the road. And I happened to catch her on HSN a few weeks ago selling pieces from her personal line of luggage. A lot has changed in the last few years for Ms. Brown. She gave birth to twins in January and I hear she’s already taken them on their first trips. But on her blog, on HSN, and in recent interviews, the same sunny, girl-next-door personality she’s been known for still comes shining through. I had a chance to experience this super-friendly, “sharing stories with a friend” attitude in person back in 2008 when I interviewed her for Orlando Attractions Magazine when she came through town to speak at the Travel Retailing and Destination Expo. Here’s a link to a Q & A we did that was posted to an old blog. Enjoy! You’ll see that she was just as kind and funny as she always seemed on the Travel Channel. Just like someone you’d love to take along on a Girls’ Getaway Weekend! I love her shows, she always has so much fun! Thanks for commenting Ashley! It was interesting to see that that sense of fun is apparent in person too. She’s very bubbly and energetic!